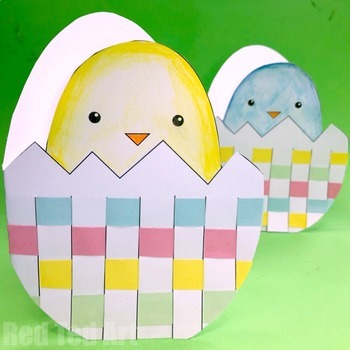 Bringing together a set of fantastic Paper Easter Activity for children. These make lovely spring crafts too. This is a set of existing popular printables from Red Ted Art. This Easter set will allow you to decorate the classroom and home, make a range of Easter greeting cards, as well as provides you with some lovely coloring pages. These are great resources to fill some time "here and there" in the run to Easter! Have them on hand for unexpected down time (e.g. wet play!!). NOTE: These printables do NOT include written instructions, but should be self explanatory. 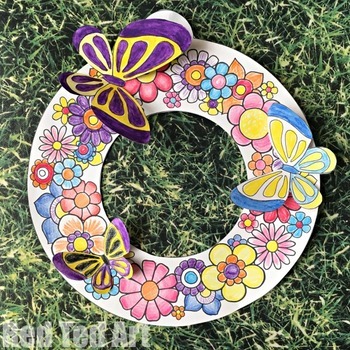 * 7 Pages to make: Spring and Easter Wreaths. Both wreath designs have a 3d or interactive element. Super cute and fun to make. The butterflies are just adorable. There are 2 Spring Wreath designs (flowers or tulips) and 1 Easter Wreath (that comes in "color your own" or ready colored). 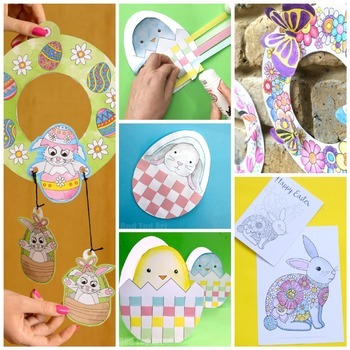 * 6 Pages to make: Easter Greeting Cards. 2 detailed Bunny Coloring Pages to choose from. 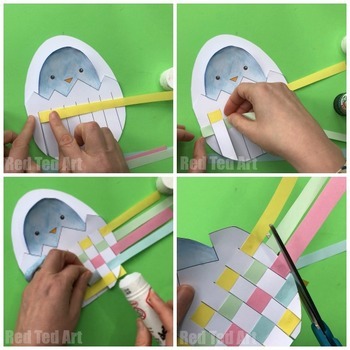 1 Easter Chick Paper Weaving Card. 1 Easter Bunny in Basket Weaving card. And the last two designs as "color and design your own" card versions too. Great for letting loose your own creativity! * 2 Pages to make: Large Paper Weaving Crafts. The same designs as seen for the card making - a chick in egg and a bunny in basket - however in a large format - for smaller hands! * 5 Pages to make: Coloring Sheets. Revisiting the designs shared above, these are large versions for kids to colour themselves. You will find - a detailed bunny, detailed bunny and daffodils, the chick in egg and the bunny in the basket, plus an Egg mandala for kids to colour. NOTE: this bundle is available as INDIVIDUAL printables for free on Red Ted Art via this Paper Easter Crafts resource page, but requires clicking through to varies pages to get all the downloads in one place. This bundle saves you time!